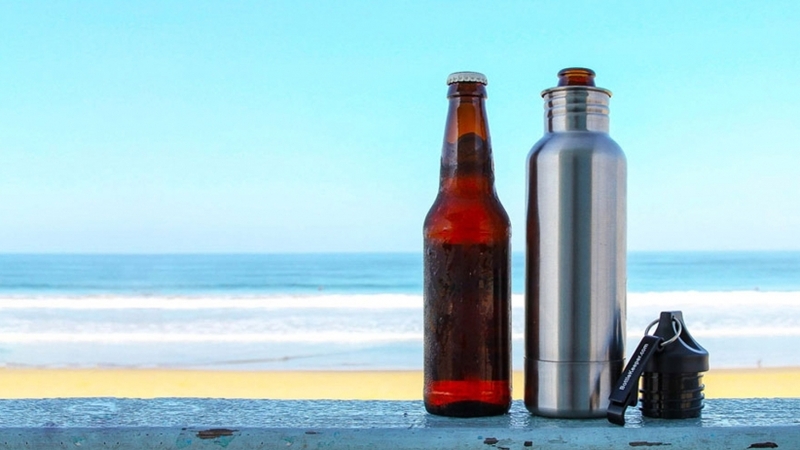 The BottleKeeper is a stainless steel contraption that slides over a 12 oz glass beer bottle (they also make a big one for bombers) and keeps it ice-cold, thanks to a special neoprene lining. Seems like the perfect incognito way to enjoy a cold one on the beach or at a game or concert. the BottleKeeper is safer than naked glass around the pool, and it’s even FAA approved if you decide to take it on a plane flight.